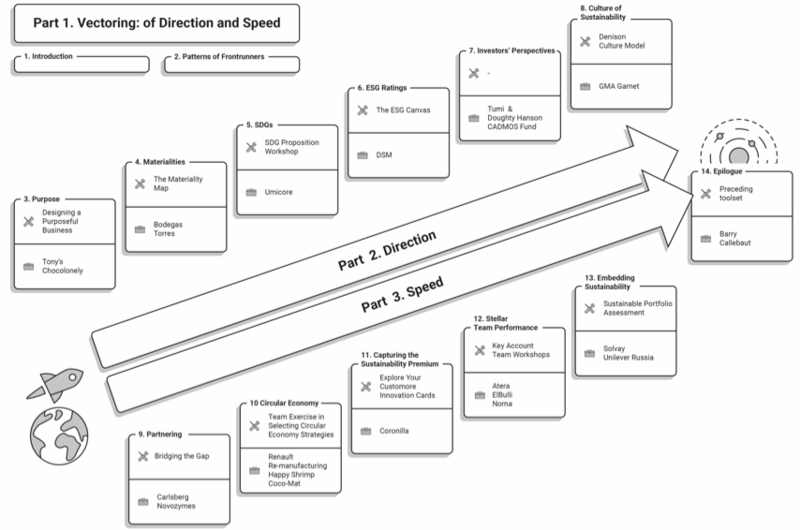 In the forthcoming book Winning Sustainability Strategies (Palgrave, 2018) the effective combination of direction and speed as applied by sustainability champions such as Unilever, Umicore and Novozymes, is dubbed Vectoring because it is analogous to the navigation service provided by an air traffic controller, whereby the controller decides on a particular path for the aircraft, composed of specific legs or vectors, which the pilot then follows. Sustainability programs that are looking for their North Star or Polaris, can lack air traffic controllers or often pilots for that matter. The absence of directional bearings, or the selection of inadequate ones, lead to misguided, uncoordinated actions and usually unsatisfactory results from the sustainability initiatives. 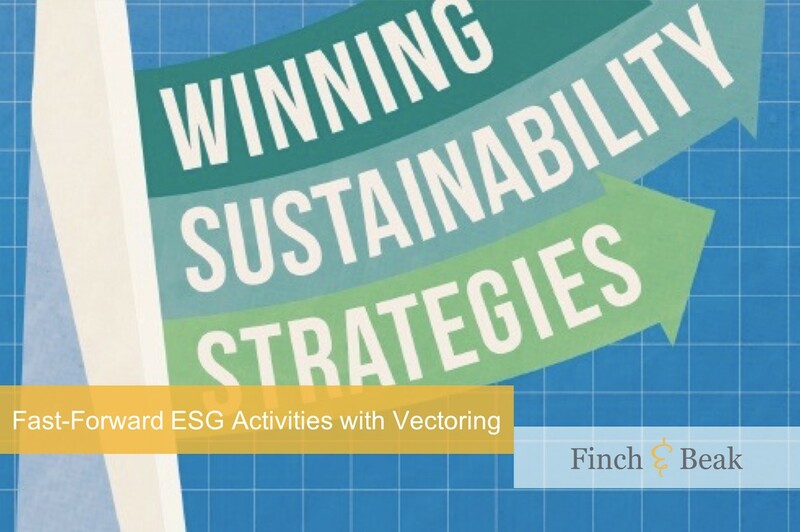 To develop the concept of Vectoring, the anonymized results from ten selected industries over a three-year period were examined, for companies that elected to actively participate in the DJSI benchmark between 2015 to 2017. The ten industries researched (automotive, banking, chemicals, construction materials, electric utilities, pharmaceuticals, food products, professional services, textiles and telecom) were chosen to generate a representative sample of the industries addressed by MSCI’s Global Industry Classification Standard (GICS). As part of the analysis, all company DJSI scores on all criteria in the research period were restated as contributing to either risk reduction, opportunity seizing or both. To determine the company performance on risk reduction and opportunity seizing, DJSI experts independently rated the DJSI criteria for their potential contribution to either risk or opportunity based on the questions in the questionnaire. In the follow-up stage, the expert assessments were compared, and the differences were settled. Obviously, not all criteria have equal importance for the various sectors. To accommodate this, individual criteria weightings per industry were applied to the company scores, identical to those used by RobecoSAM for the composition of the DJSI for the years and industries researched. The next step in the analysis required the construction of a separate risk–opportunity matrix for each industry and each year. That matrix enabled the identification of the top 10% of performers. A comparison was then performed at the level of each criterion between the top decile and the industry average. This comparison yielded interesting insights when the gap between the top decile and the averages were statistically meaningful. 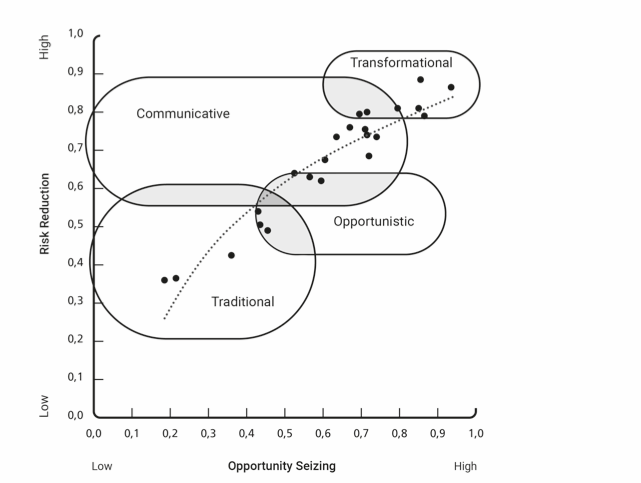 From this breakdown, four archetypes of company sustainability programs were extracted, each with its own characteristics: traditional, communicative, opportunistic and transformational. The research method used in the book can be illustrated using the environmental, social and governance (ESG) benchmark scores of global companies on climate strategy. Climate change is often portrayed as one of the most important and truly global material issues, with the potential to destruct entire nations, kill wildlife in places such as the Great Barrier Reef, dramatically change agricultural practices or force massive migrations of people. With most, if not all, industries likely to be impacted by climate change, albeit to varying degrees, companies face the need to design appropriate strategies to tackle the challenge. While most companies focus on the risks associated with a changing climate, some also seek to identify and seize the business opportunities linked to this global challenge. 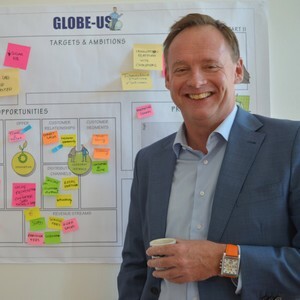 To realistically assess the performance of companies on climate change, DJSI -composer RobecoSAM developed a climate strategy criterion in collaboration with CDP. The survey developed for the climate strategy criterion includes detailed questions on topics such as transparency in disclosure, emission targets, the presence of products and/or services classified as low carbon or that enable third parties to avoid GHG emissions and companies to assess their own financial risks and opportunities resulting from climate change. The climate strategy criterion is one of more than 20 criteria that make up the full RobecoSAM assessment, making it one of the most comprehensive of its kind. Other questionnaire criteria include corporate governance, operational eco-efficiency and human capital development. The relative weighting of each question and criterion is determined on an industry-basis by a RobecoSAM-appointed expert panel. For each criterion, companies receive a percentage of the maximum score; based upon the full set of questions in the climate strategy criterion, participating companies are awarded a score ranging from 0 to 100. Comparing the average score on the climate strategy criterion with the marks of the top decile performers over the three-year research period, provides some interesting insights. From the example in Table 1 on climate strategy, it is possible to infer that frontrunners outperform industry averages by some 16% – a meaningful difference. Perhaps more striking is the difference in performance when comparing the selected industries with each other; the scores of the highest-scoring industry (Construction Materials) and lowest-scoring industry (Telecom) are different by a stunning 36%, on a topic that is relevant for both industries. Not all companies see their icebergs as melting at the same speed, and these different perceptions lead to more or less effective strategies for addressing climate change issues. In certain industries, such as food products and banking, sustainability champions outperform their industry averages by as much as 25%. Consequently, it is very important to understand what these frontrunners are doing differently and why. If you would like to learn more about Winning Sustainability Strategies send a mail to Camille Simm via camille@finchandbeak.com or give her a call at +31 6 28 02 18 80. Make sure you are subscribed to our newsletter in order to receive all book-related updates.